Used For: The remedy is potent of reducing inflammations, fighting pains and spasms, sterilizing the environment, and working as a remedy for diarrhea. White Poplar is successfully used for soothing pains, linked with rheumatism and arthritis. It works identically to Willow, which is used in combination with other pharmaceutical remedies to reduce pains. The plant is known to produce a positive effect on pains, caused by sudden arthritis reappearance. When used to stimulate bile circulation, the remedy is helpful in increasing appetite, and controlling digestive functions of liver and stomach. White Poplar is effective in curing diarrhea, eliminating fevers and treating urinary organ disorders like cystitis. Commonly mixed with: To soothe rheumatic arthritis symptoms the remedy is combined with Bogbean, Celery, and Black Cohosh. To boost digestive functions the medicine is mixed with Golden Seal and Balmony. Preparation and intake: In form decoction the plant is used in a dose of 1 ½ teaspoons on average, dropped into water, boiled and let boiling on average heat for 10 minutes. The result is consumed 3 times per day. As an appetite booster take the decoction half an hour prior to having meals. In form of a tincture the remedy is applied in a dose of 3 ml on average, 3 times per day. 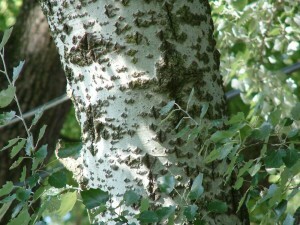 Safety: There is no data concerning the safety level of White Poplar. There is a possibility of interaction between White Poplar and chemical remedies, so take care and speak with your doctor before using the plant.